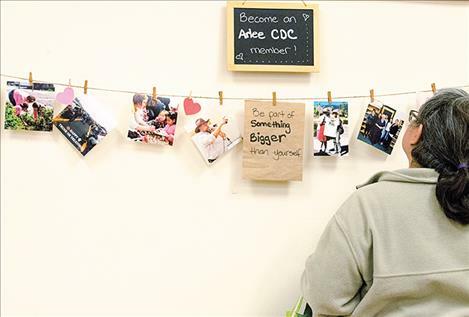 Signs encourage people to join the Arlee Community Development Corporation. 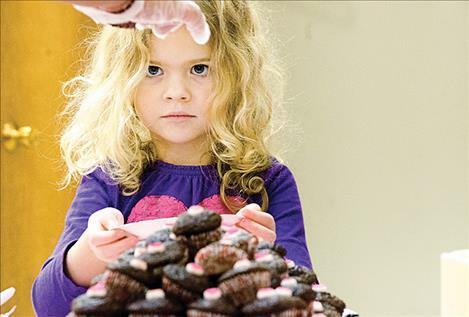 Kay Lynne Frey, 4, waits for a chocolate cupcake. JR Strand takes bids from the public. 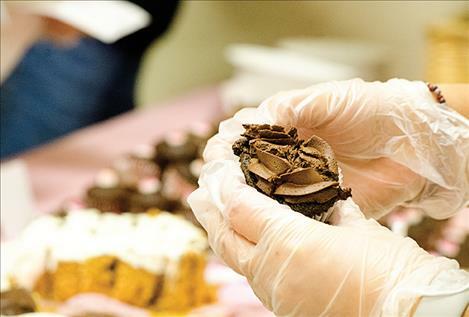 ARLEE – A sweet aroma of chocolate emanated from the kitchen in the Brown Building last Wednesday during the 14th Annual Chocolate Lovers Festival. 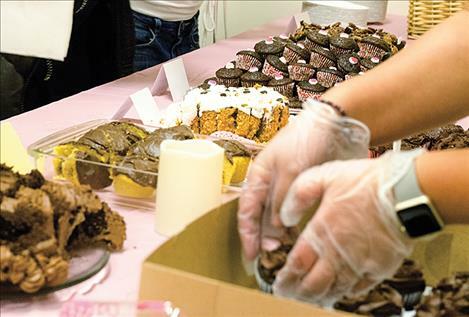 Twenty-seven people donated two chocolate dishes to the event including peanut butter and chocolate brownies, a fudge layered cake, and a French silk pie. 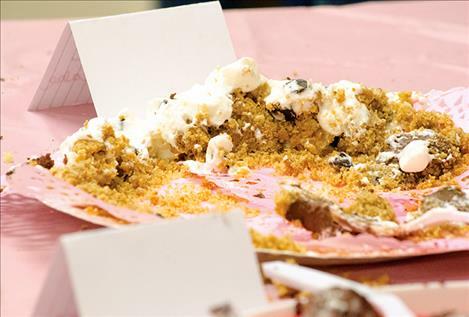 One dish was cut into bite-size pieces so people could taste the mouth-watering treats after paying a $2 tasting fee, and the other dish was auctioned off to the highest bidder. Proceeds are used to help fund programs in Arlee. 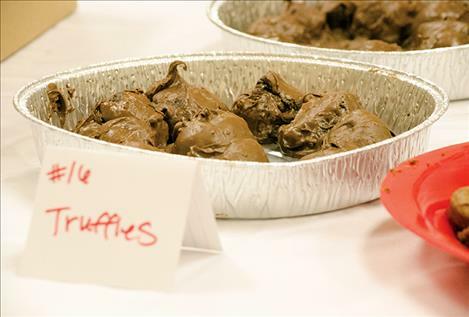 Megan Strickland traveled to the event from Missoula to donate her chocolate truffles and chocolate peanut clusters. She said she loves baking and likes to share her creations. “It’s a really important thing to help communities,” she said. 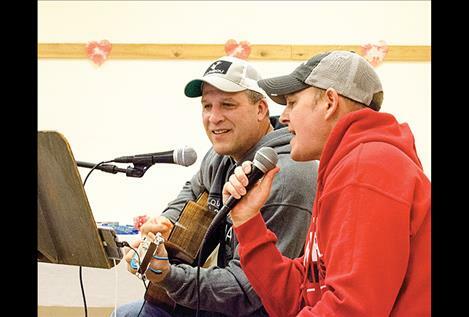 Matt Brown and Troy Patton entertained a big crowd this year with live country music while people lined up to fill their plates with chocolate confections. 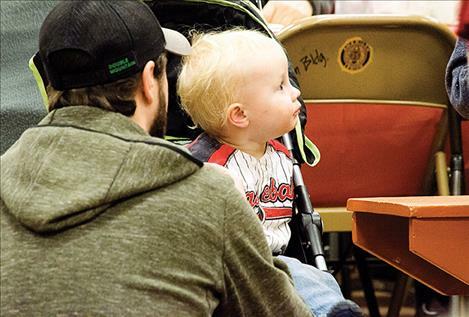 People sat down to taste and talk while children laughed and played before the auction. 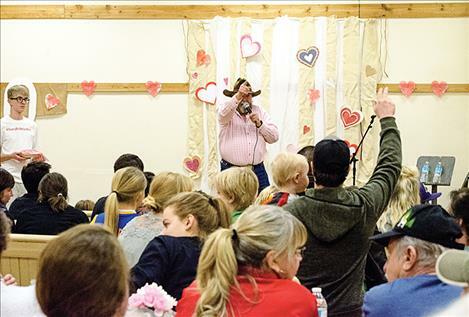 JR Strand traveled to the event from Missoula to act as the auctioneer like he has for the past 12 years. 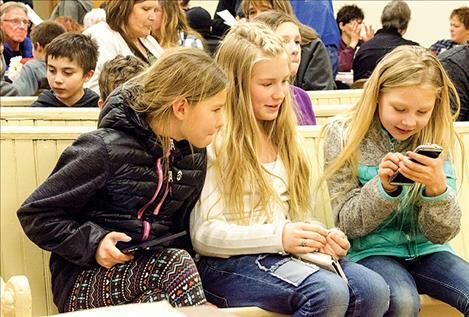 “I love this little community, and I was glad to help,” he said. 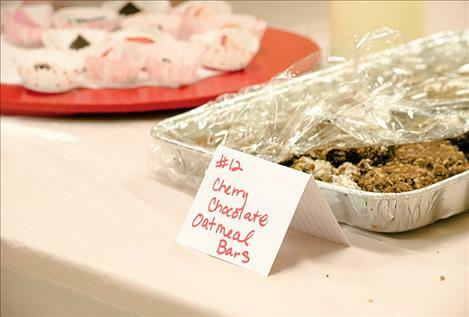 The chocolate treats are often auctioned for $25 and up, depending on the amount of people in attendance. 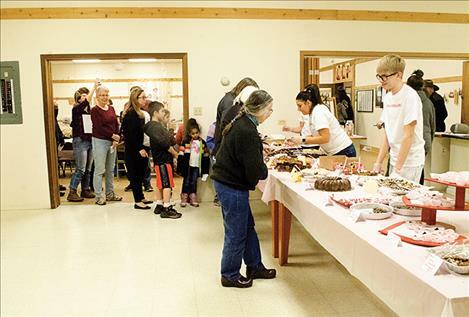 Last year, winter weather created a low turnout, but this year the room was packed, and a plate of brownies went for $85. “I’ve seen it go from standing room only to barely enough people to bid on everything,” he said. 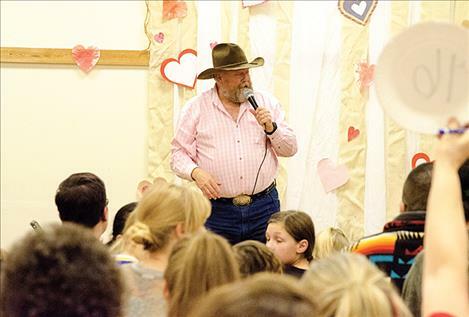 The Arlee Community Development Corporation hosts the event to raise funds for kids' programs, support the Jocko Valley Library, and carry out the vision of the community. CDC volunteer Shannon Patton said fundraising for local projects is important, but the corporation also needs members that don’t really have to do anything but pay a $10 fee. 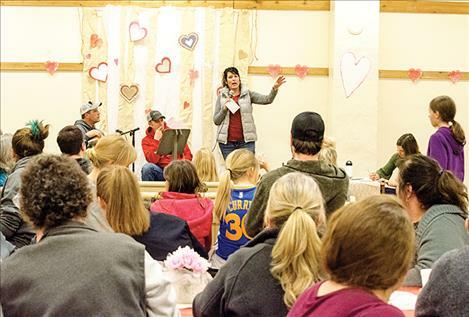 “We need members to show community support when we apply for grants,” she said. She added that only 40 people have signed up so far this year. Shannon said an Arlee beautification project is currently in the works to clean up weeds and trim back bushes in the town. She said the goal is to get Arlee looking good so people stop and support the small businesses in the area. She said project volunteers would greatly appreciate the donation of equipment or time including mowers and watering tanks. To become a CDC member, call Shannon at 406-544-8756 or find the corporation on Facebook. People don’t have to be a resident of Arlee to join. 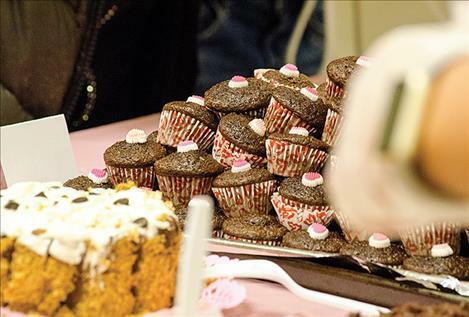 Festival winners: Trisha and Tracy Topp took first with their cakeballs. 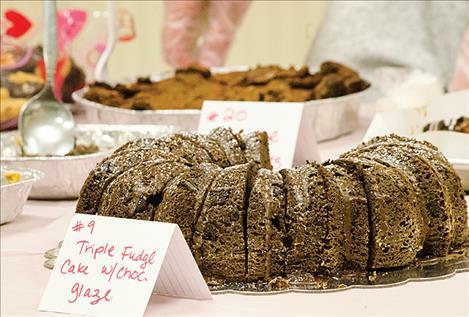 Patti Hahn took second with a turtle brownie torte. Third place went to Tucker Brown for the peanut butter cup brownies. Haley and Anna Crawford took Best of Show Young Adult for the chocolate coconut pie. Best of Show and kid's Best of Show went to Paley Espinoza for the eclairs.